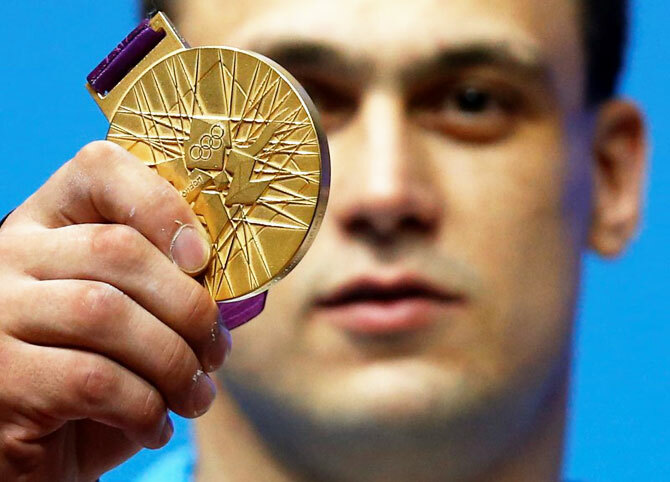 Kazak weightlifter Ilya Ilyin has been stripped of the gold medals he won at the Beijing and London Olympic Games after failing doping tests in re-analysis of samples, the International Olympic Committee (IOC) said on Friday. Ilyin, who won the 94 kilo category at both Games, tested positive for the banned substance stanozolol in 2008 and turinabol and stanozolol in 2012, the IOC said. Aksana Miankova of Belarus was stripped of the gold medal she won at in the women's hammer throw in Beijing after testing positive for turinabol and oxandrolone in re-tests. Miankova was also disqualified from the same event at the London Games where she finished seventh. Her compatriot Natallia Mikhnevich was stripped of the silver medal from the women's shot put in Beijing after testing positive for methandienone and stanozolol.